Fifty years of experience, in-house design and expertise combine to make Dynamic Builders one of the premier providers of turnkey industrial and commercial buildings in the Los Angeles area. With the Build-to-Suit option, we buy the land and build the property specifically to your needs. We handle all the moving pieces, from design, to materials and logistics, to paperwork, including permits—you name it, we take care of it. Having been in this business for more than five decades, we know what needs to be done and the most efficient way to do it. 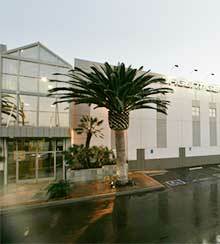 Over the years we’ve planned, designed and built hundreds of industrial and commercial buildings. From the initial conversation, all the way through project closeout, we take your needs into consideration. For instance, will there be a large fleet of trucks that require easy freeway access? Perhaps the building will have high energy or water supply needs that would benefit from lower rates in certain zip codes? We know what questions to ask you to ensure we find the optimum location for your building, which can significantly reduce operating expenses. Having been in business since 1964, Dynamic Builders’ knowledge of Los Angeles’ code requirements is vast. We are intimately familiar with every building code, as well as every square inch of this city. Our design team excels at maximizing a property’s potential by creating as much space as logistically possible on the parcel involved. In an area like Los Angeles, this type of smart design is critical. Our designers are in house and involved throughout the process, for example, in selecting the most cost-effective materials. It’s possible those choices will have an effect on the design, so it’s a collaboration from beginning to end, thereby providing you with a building that exceeds your expectations. We also offer LEED-Certified construction for clients looking for sustainable solutions. And whether LEED-Certified or not, the buildings we design are efficient to own as well as to build. We fabricate, customize and construct buildings in a cost-effective way without sacrificing design, logistics or practicality. We look for efficiencies everywhere—as an example, we monitor steel and wood commodities and determine which is most cost effective at the time of construction. When building on a large scale, this type of comprehensive cost review can significantly reduce building costs.